Biodiversity loss is one of the key environmental challenges globally. Conservation of biodiversity – and the restoration of biological communities and landscapes – pose huge challenges for managers of our natural resources. Meaningful progress in this area demands rigorous training in a range of disciplines, especially conservation biology, restoration ecology and landscape management, as well as in the policies and social issues that enable or constrain success. This specialisation focuses on the conservation and restoration of ecosystems, with exciting subjects also available in wildlife conservation. Students with undergraduate studies and/or professional experience in life sciences, forestry, natural resource management, agriculture, parks and wildlife management or environmental engineering. It also suits professionals wanting to upgrade or link their skills to environmental management. Local, state, and national government regulators (e.g. Department of Environment), non-government conservation bodies (e.g. 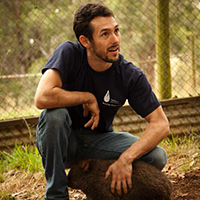 WWF), environmental consulting companies, private nature conservancies, and agencies involved in ecological restoration in Australia and in developing countries. "One of my most professionally beneficial and academically fulfilling experiences has been the completion of the Conservation specialisation in the Master of Environment. The program provided breadth in learning opportunities as well as extensive support for interdisciplinary collaboration. By allowing the flexibility for a research component, the degree enabled my transition from a technical profession (Architect) to a PhD research position looking at the mitigation of ecological damage caused by human industrialisation and development."